Question: The GOA has never addressed the moral and social underpinnings of the problems facing Greece. Is the GOA so captive to the fantasy narrative of the Greek Community in America that it is unable to engage on these issues? Athens burns but the party at the Ritz Carlton in Florida (Leadership 100) goes on. How do you celebrate Greek Independence day at the White House when your homeland is in the midst of a social and economic collapse? If 79th Street does not pay more attention it find that people will turn on the GOA leadership very quickly as being overpaid and out of touch while common people suffer. Honestly, though I wonder what the real reason is for the GOA not even acknowledging Greece’s problems. It’s amazing the disconnect between the idea of being “Greek in America” vs. being “Greek in Greece.” How do you see it? Fr. Johannes L. Jacobse: There is truth to the assertion that culture preserves faith, and it’s also true that the Hellenic ideals helped create the bedrock of Western Civilization. These facts are undeniable. Moreover, Hellenism, properly understood, does indeed foster a deep appreciation for the Greek contribution to Western culture. What’s missing today in almost every engagement with real issues and problems however, is the Gospel — the “disconnect” as you put it. The Gospel is what shaped Greek culture, but it must also vivify every generation so that the culture can remain Christian. If the Gospel is not preached, the deep insights and knowledge conferred through the culture from one generation to the next gets reduced to folklore. “My Big Fat Greek Wedding” becomes the definitive statement of what once was a very vibrant Christian civilization. All peoples and institutions can operate on historical memory for only so long. The Communist assault on the Russian Orthodox Church showed us that it takes only one generation to cripple the Christian cultural legacy almost to the point of death. If the debilitation is the result of a slow drift as it is in Western Christendom, then it may take a generation or two longer but not much more. Look at England’s slide into moral and civic confusion since WWII. For that matter, look at our own. The way out of our cultural morass and the path to ecclesiological clarity is through a recovery of the Gospel. That recovery however, never happens outside of an immediate cultural context. In our case the defense of human life is that context since the question of the inherent value of life is at the heart of all our problems. 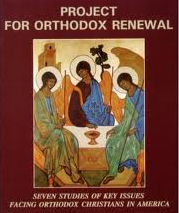 Put in theological terms it means that we have to reach deep into our tradition and bring forward the anthropological constructs into the modern cultural context (and the Orthodox have the most developed anthropology of any Christian communion). All the big cultural questions: sanctity of life, homosexuality, marriage, divorce, contraception, even economics deal with what it means to be a human being. When Archbishop Iakovos went into retirement, something changed. Constantinople became the center of governance and the mission of the GOA was redefined. Abp. Iakovos had his flaws (gifted leaders often have deep deficits) but his focus was always America, as he showed when he joined Martin Luther King in Selma, Alabama. He was the first major Christian leader to endorse King, and because of him others followed suit. 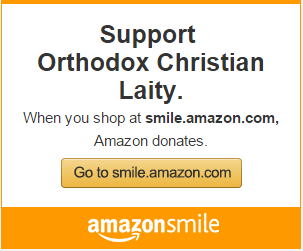 The King family is still grateful to the Greek Orthodox for it. Now however, the GOA exists to defend the Ecumenical Patriarchate, and because Constantinople is weak and under siege, it must also satisfy those on whom Constantinople is dependent such as the Greek government. This fosters an excessive dependence on Greek Orthodox politicians at home who exercise influence on the State Department and other organs of American government, enough so that the violations of the moral tradition in their civic life is never mentioned. This has the effect of bolstering the secular forces that seek to undermine Christian institutions on the outside, but it also fosters a timidity, or worse, compels intimidation toward anyone who dares challenge those forces, on the inside. That’s also why you see support of such things as global warming or other secular apocalyptic movements. Al Gore’s “An Inconvenient Truth” followed in that same secular tradition. The fact that the GOA did not see that supporting Gore would come back to bite them (we warned them it would) is the inevitable result of not engaging the culture on the terms the moral tradition requires. Improper application of the moral tradition is a grave problem. In most (not all) cases when GOA leadership engages the culture, the Constantinopolitan mandate compels a conflation of Progressive ideals with the Gospel because the ideals don’t raise the ire of the politicians who need to be cultivated. This approach needs to be challenged because it provides cover for Progressive ideology that holds the values of the Christian faith in contempt and will turn on the Christian Church when it is able. The conflation will become more evident to the Greek Orthodox (and other Orthodox Christians) as conflicts such as the Catholic Church and the Obama Administration over contraception draws the distinctions between the secular ideals and Christian moral values more clearly. The GOA has some very good priests who, as much as they are able (which means escaping the notice of Bishops who enforce the mandate that Constantinople remains front and center), work hard to bring Christ to their people. They suffer though because when the conflicts come (and they do), they get no support. Some are even punished for not supporting the Constantinopolitan mandate with enough enthusiasm. So to answer your question, it is very difficult to speak with moral clarity in one area without exposing moral equivocation in another. That’s where the contradiction comes in. And that contradiction exists because the mission of the GOA is muddled. When appeals to history don’t include the Gospel that vivified it (it can’t because it would offend politicians and officials whose favor the GOA needs), then the best you can hope for is folklore instead of the tradition, and silence when the words of truth need to be spoken. So don’t expect to hear much substance about the riots in Greece apart from appeals for more money. You will, however, see a lot of pictures of all the recent social events in the next Orthodox Observer. I want to see a strong and vibrant GOA and I want Constantinople protected. That can only occur however, if Constantinople comes under the protection of a unified American Church, and not if the American Church is subsumed into Constantinople’s defensive strategies. Where is it headed? There are only two possibilities. Either the GOA recovers its mandate to evangelize America (Abp. Iakovos understood this, hence Ligonier), or it accedes to Constantinople. If the former happens, the GOA can grow strong and lead many to salvation. If the latter happens, then you will see deeper internal fracturing, more priests will suffer breakdowns, and more young people will leave.